Quantity is the number of feet you would like. 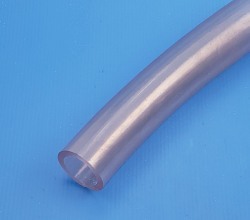 1/4th" ID by 3/8th" OD Clear PVC tubing by the foot. 1/16th wall thickness. Non-toxic, FDA approved for use in USDA meat and poultry plants. May be used with John Guest 3/8" Fittings.